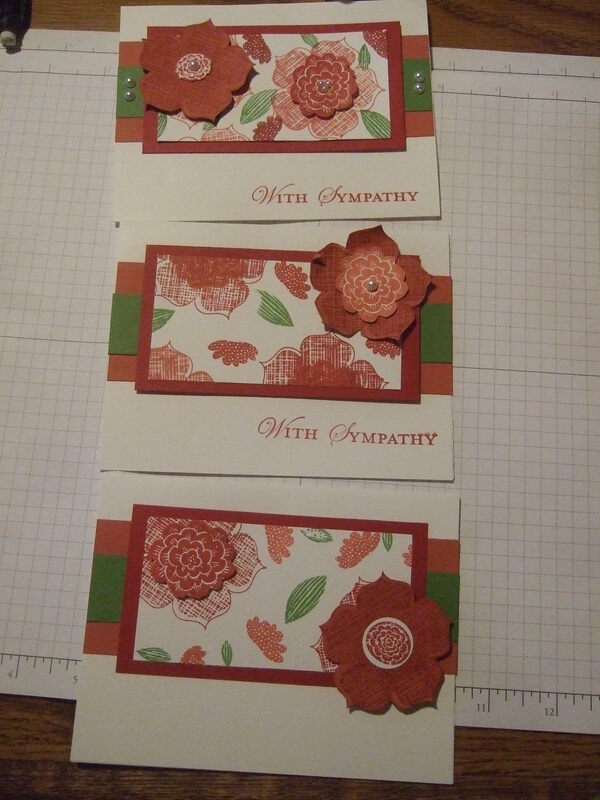 Today’s post is using the 4 sheet wonder concept introduced yesterday (see post) but uses a different color scheme and stampset namely the Creative Elements set #122647 from the current Stampin Up Annual Catalog. 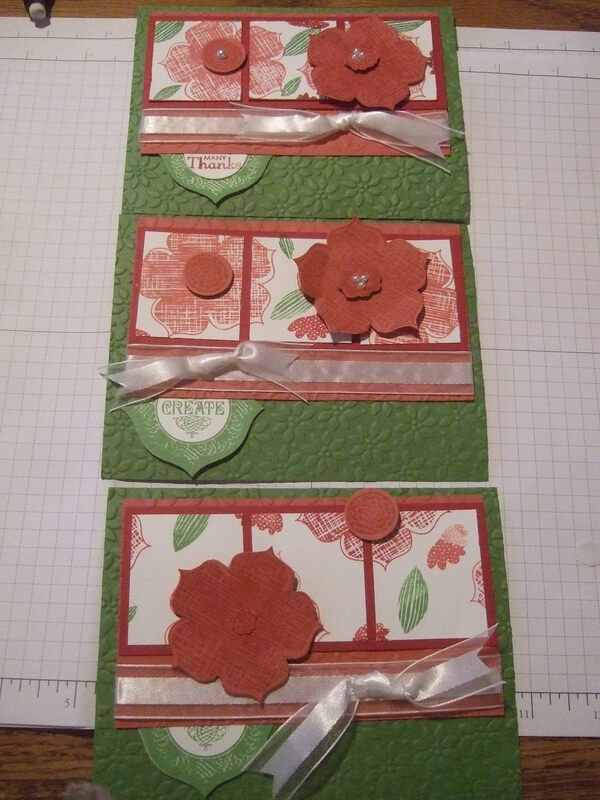 The 4 sheet wonder cards are a great way to build up your card inventory or give them as a gift for others to enjoy. 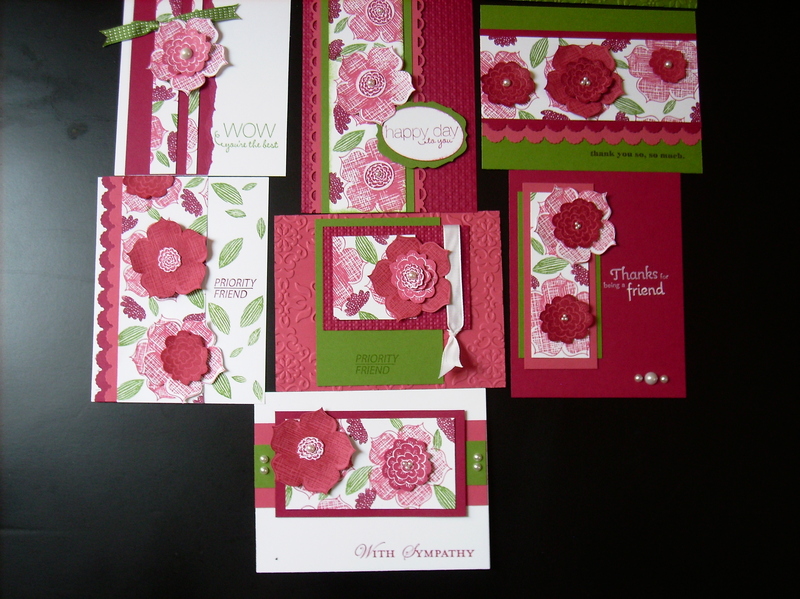 Today’s post is from the recent 4 sheet wonder class that Cammie recently held in Tulsa and then I taught it in Columbus. 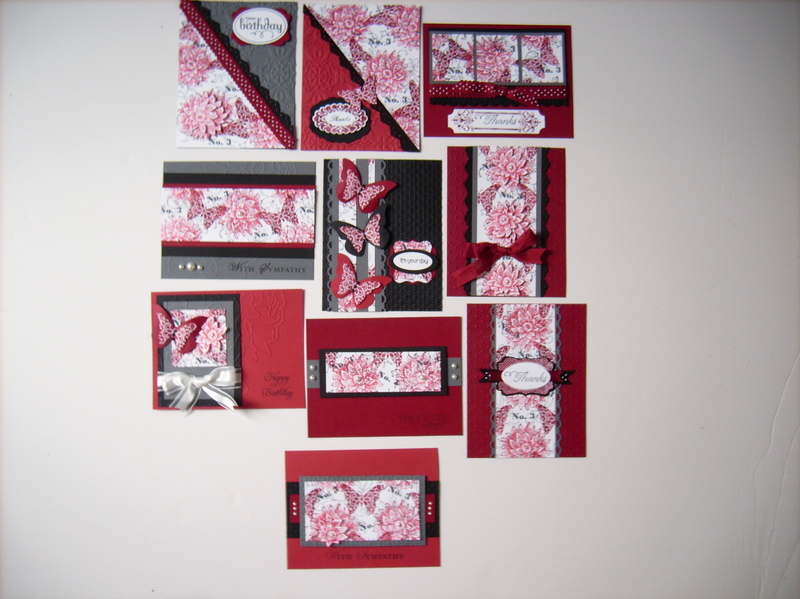 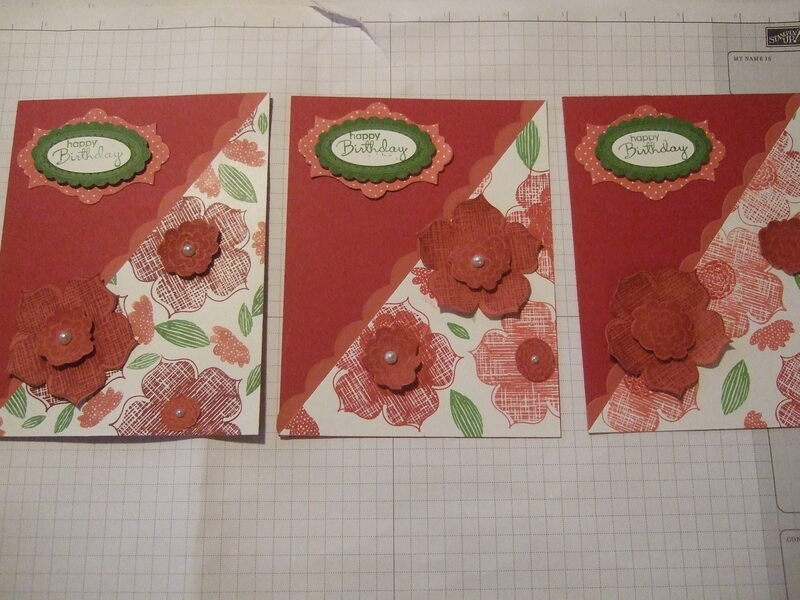 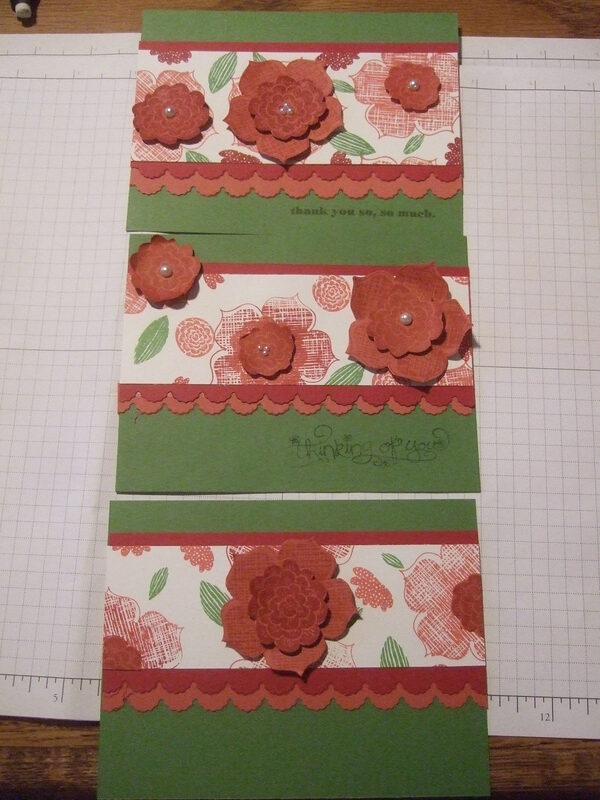 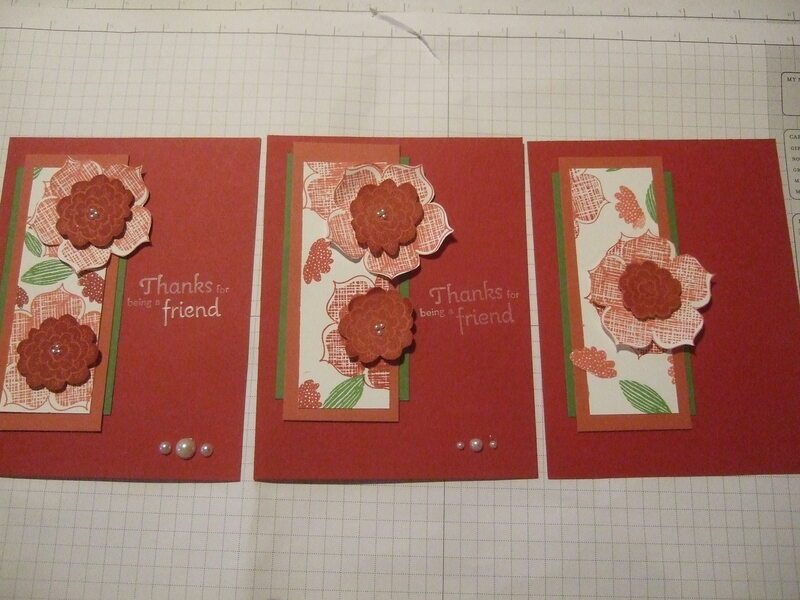 Cammie designed these cards so she could have a go to layout when she is in a design slump. 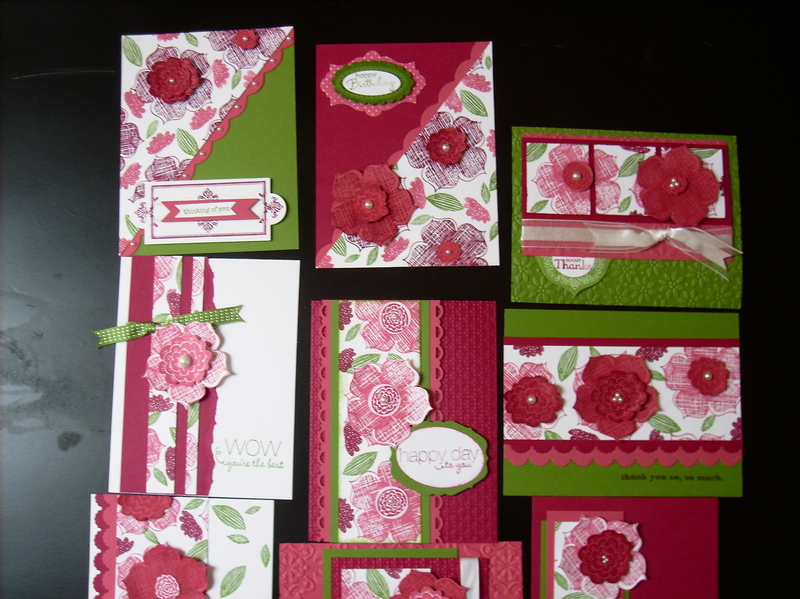 The 4 Sheet wonder uses 1 stamp set, and 4 8.5 x11 pieces of cardstock creatively cut and combined to create 10 cards that are beautiful and easy to reproduce. 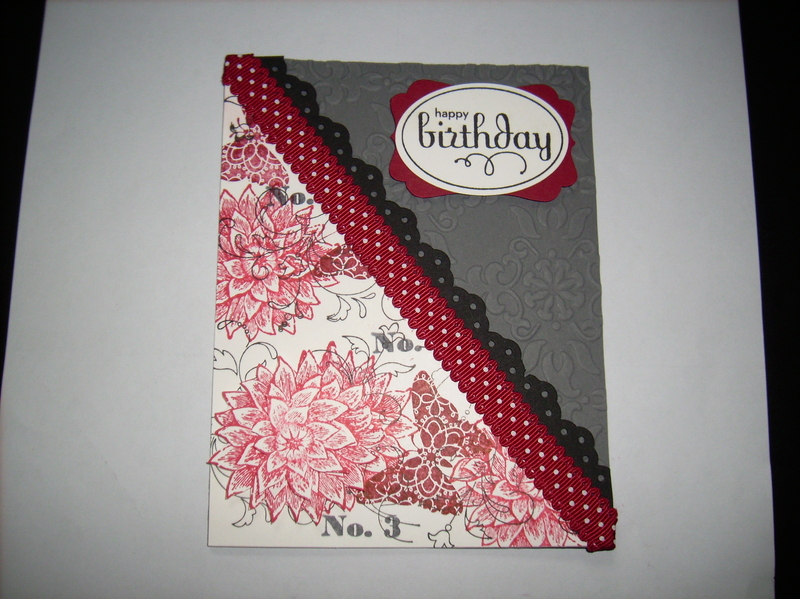 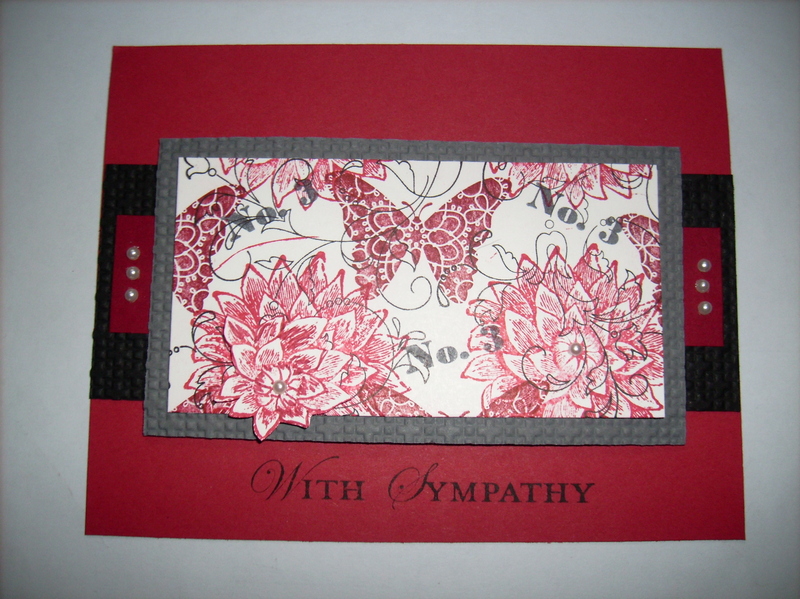 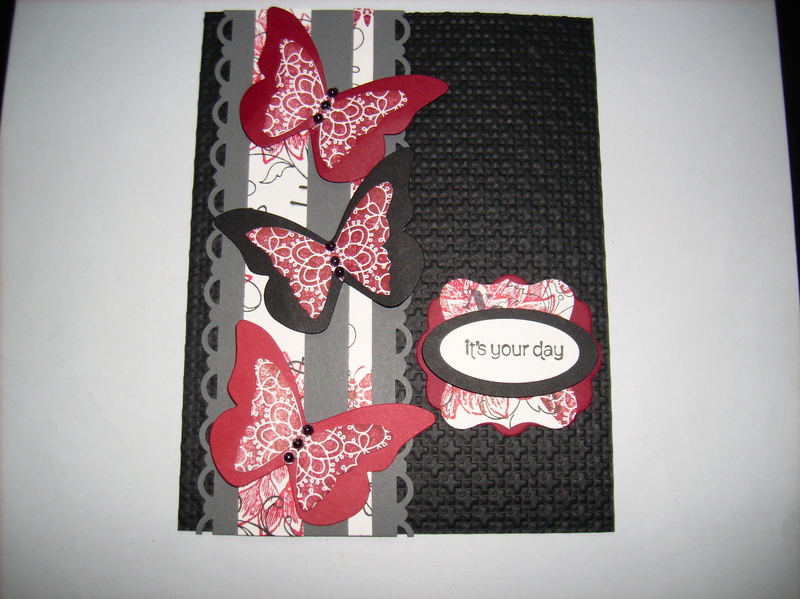 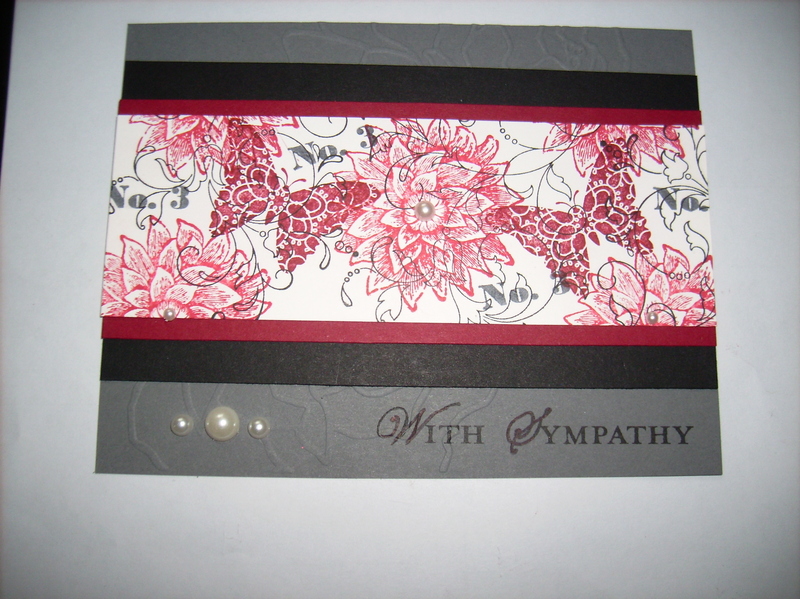 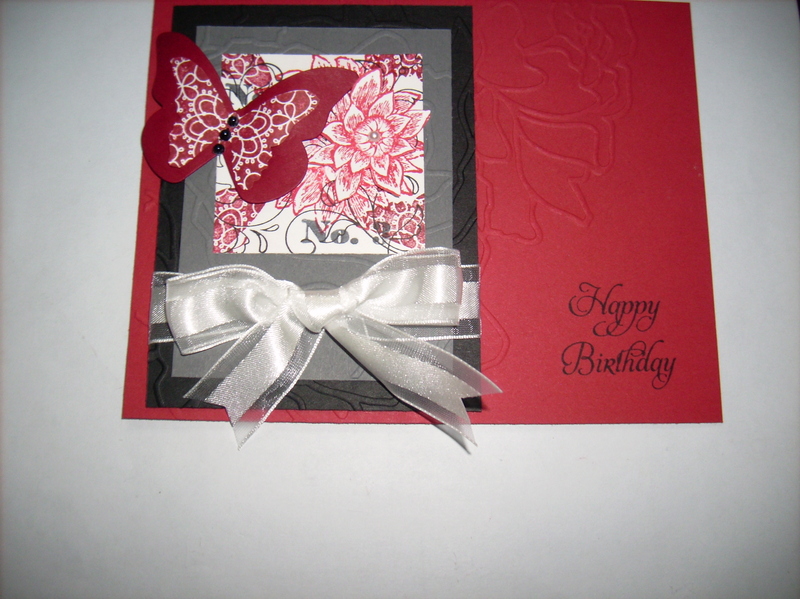 One of the pieces of cardstock is randomly stamped with a stampset. 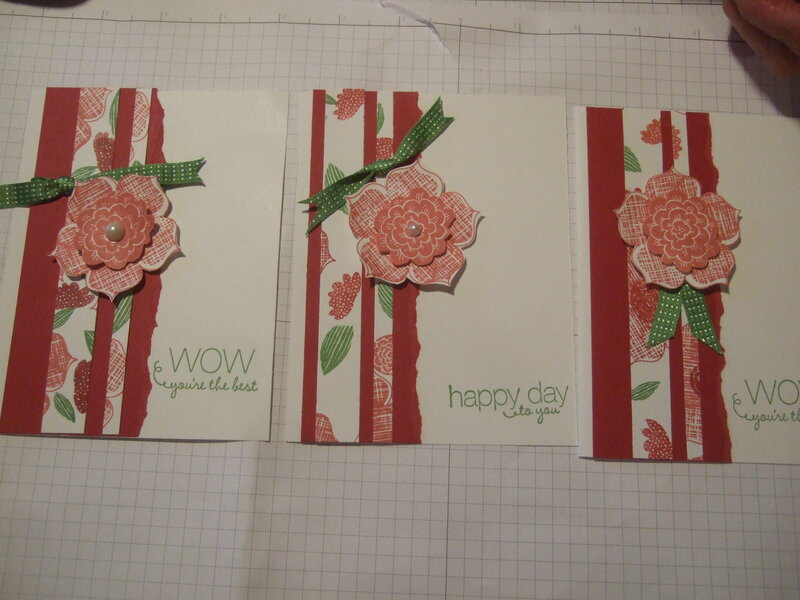 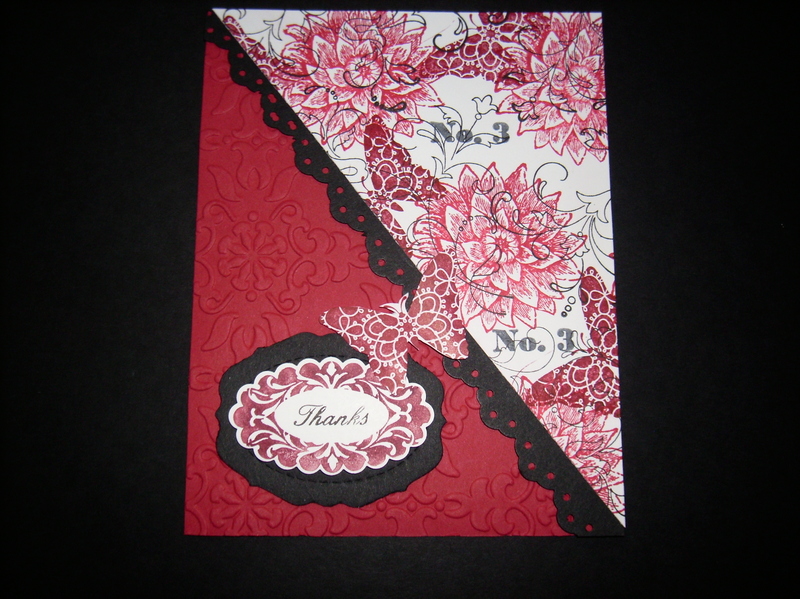 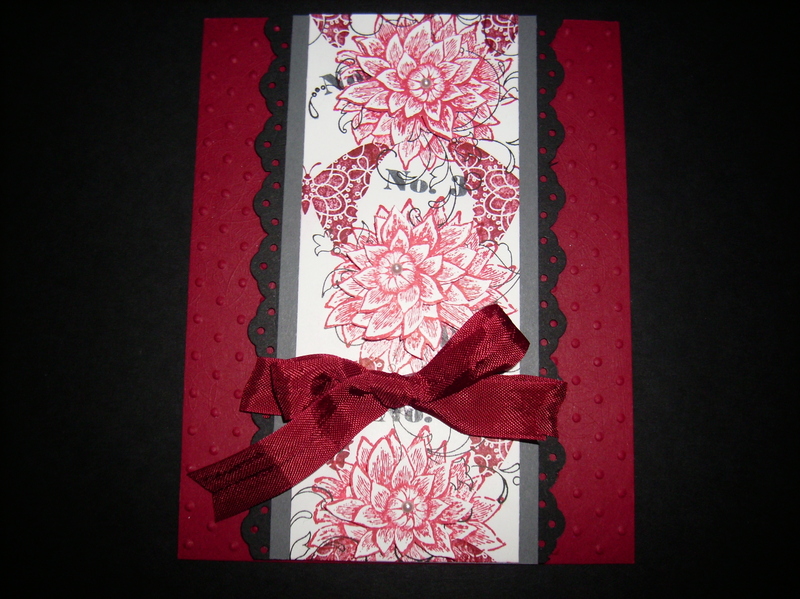 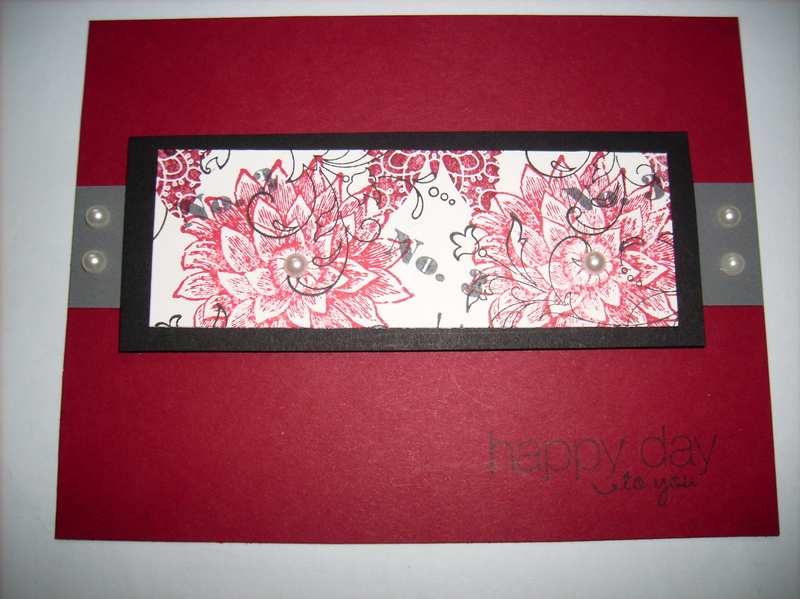 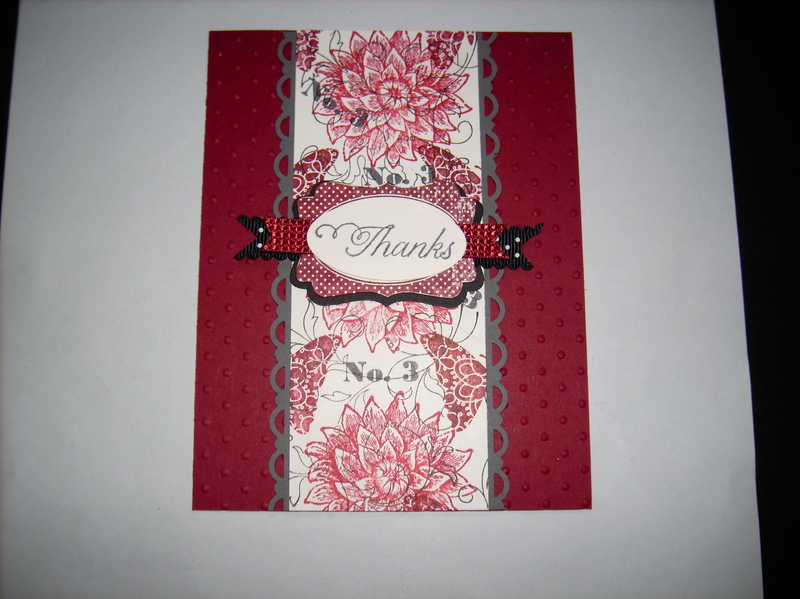 Cammie used the Raining Flowers stamp set #122667 from the current Stampin Up Annual Catalog. 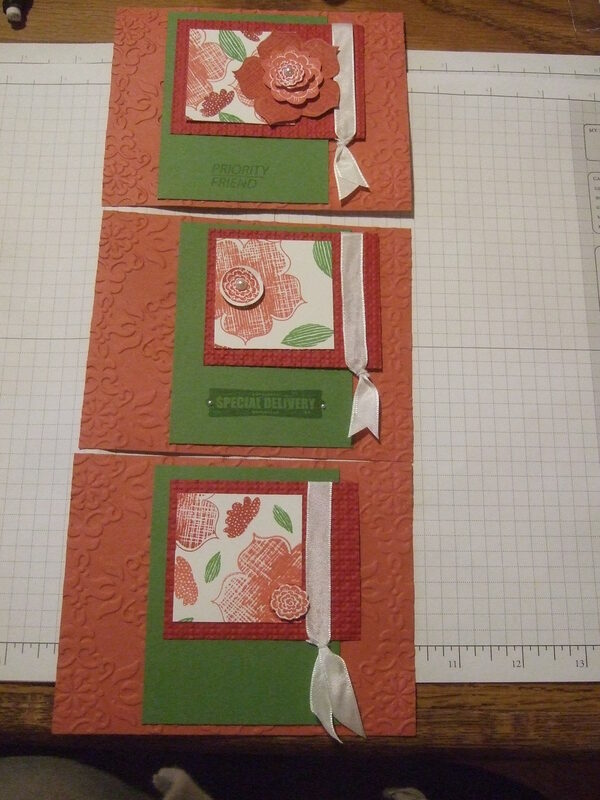 This class is fun because each customer brings the stamp set and stamps away and the cards end up similiar but definately not like the teachers. 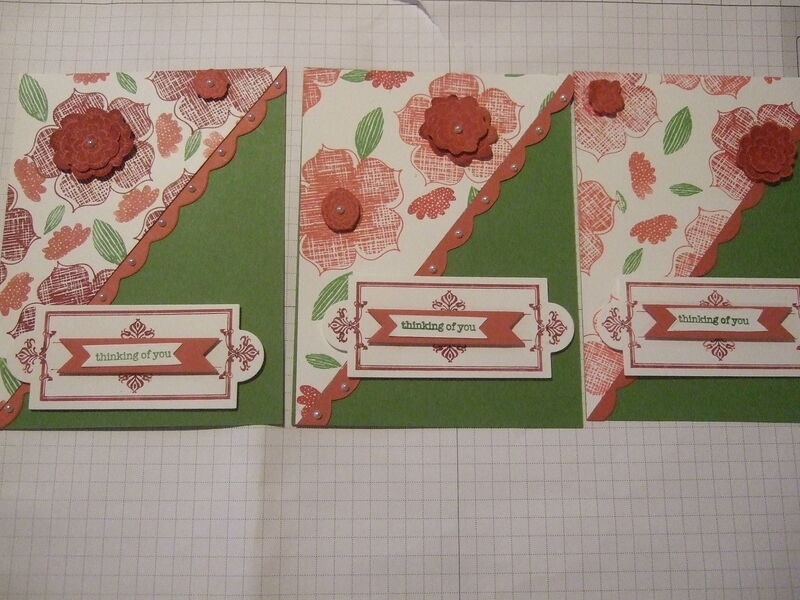 Each image below shows how 3 different people created similiar cards using the 4 Sheet wonder method. 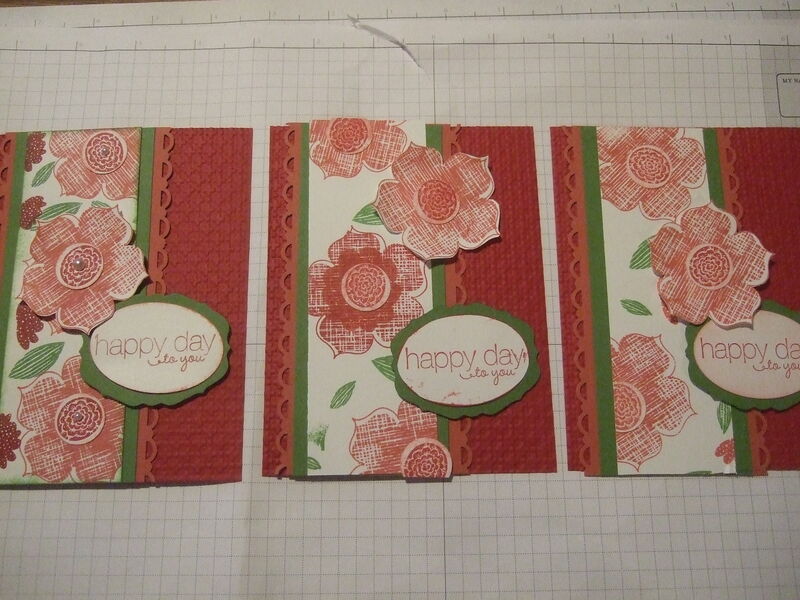 The cost for the class is $25 everything needed to create 10 cards including the cutting guides. 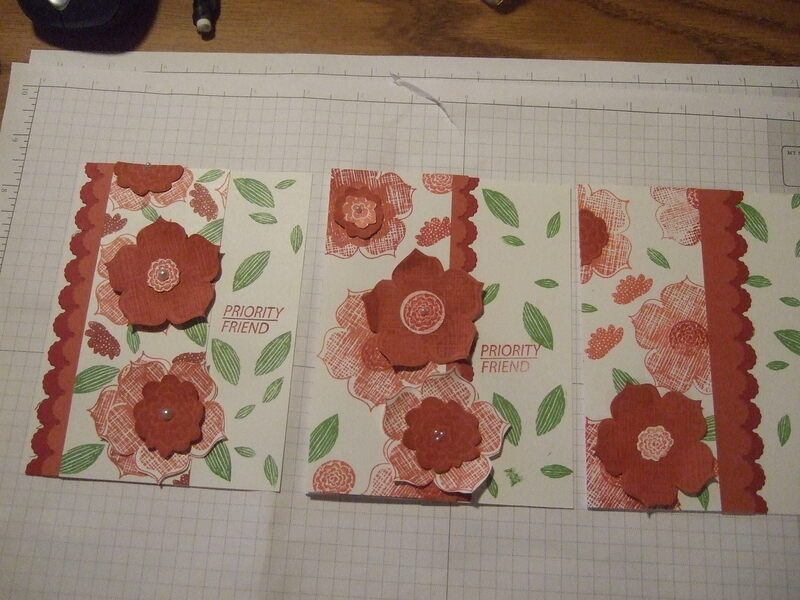 Stamp set is sold separately or use one of you very own.